Asked on May 13, 2016 in Technical. How would I do mobile web to mobile app tracking? For instance, if a new reg user came from a paid source to mobile web, but then converted into a purchase later on mobile app, how would we attribute that mobile app install and purchase back to the original paid source? Answered on May 13, 2016. Great question! Branch actually lets you do that pretty easily. 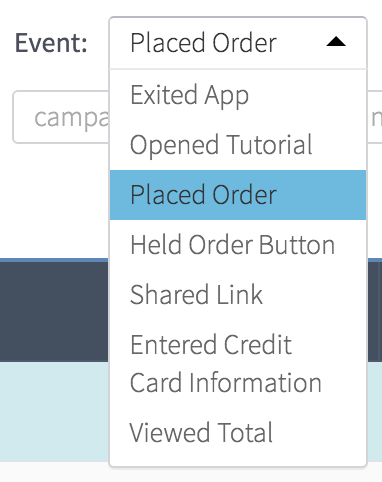 All you have to do is enable and use custom event tracking. You can define your own post-install events for Branch to track, and view them in the dashboard. You can see data for one custom event at a time in the dashboard by using the dropdown picker above Marketing and Source Analytics data. Custom events columns on these pages show total events count and events %, where the percentage is total events over total Branch-referred app sessions (installs + re-opens). 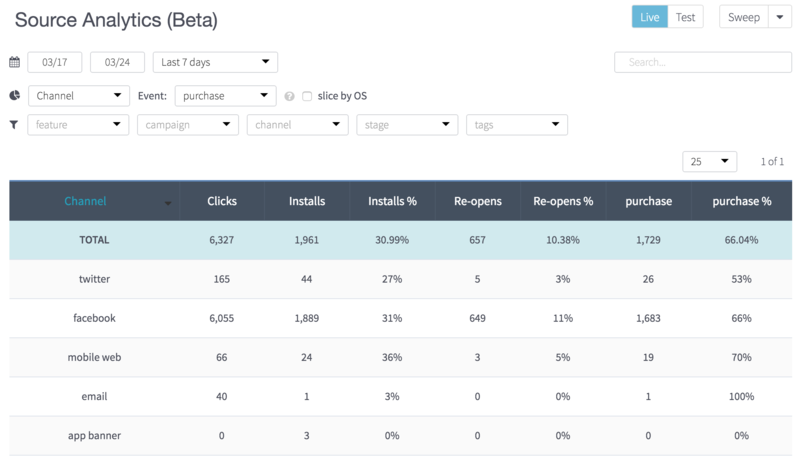 You can see these metrics for individual links, campaigns, channels, tags, stages, and features. There’s no hard limit to tracking custom events data, but Branch will only allow you to see your first 100 custom events in the Branch dashboard. Most apps track 5-10 of the most important custom events they care about. You can also see custom events as they occur on the Live View > Events page. Commented on May 13, 2016. Thanks! Could I then export all of my purchase events by channel/source via the API ? Commented on May 14, 2016. Yep, you can use webhooks or the export functionality for that. Answered on May 16, 2016. You can also use a product like MoEngage to track user actions from the source of install all the way through to purchase.